Ever meet a donut you didn’t like? How about a cinnamon sugar muffin? Or a coffee cake? What’s that—you like all three? 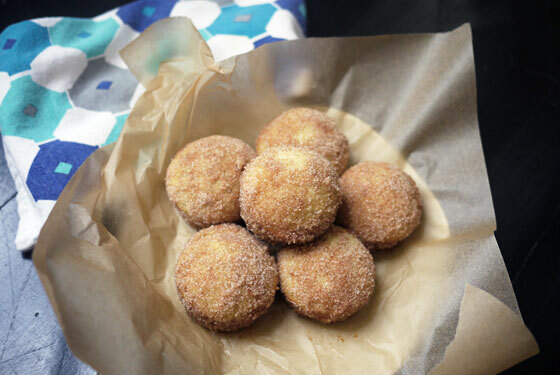 Then allow me to introduce you to your new favorite treat: Oven-Baked Cinnamon Sugar Puffs. Also allow me to warn you: these are dangerous. 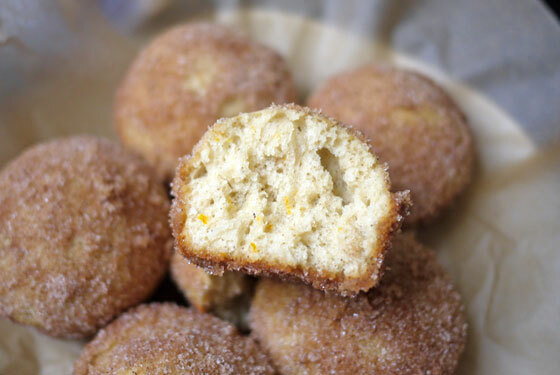 A donut hole, but better, these puffs are a perfect two-bite treat. The only problem is that it’s exceedingly difficult to stop at just two bites of these crispy-on-the-outside, airy-and-cakey-on-the-inside goodie. If you don’t watch yourself, you’ll be popping them one after the other. They are that tasty (no surprise given the ingredients list!). I found these gems on Food52 where they recommend serving puffs at breakfast. While I agree that they’d make a lovely addition to a holiday or birthday breakfast (a perfect way to start Easter Sunday! ), I think these puffs are better served as a special occasion treat. If you can eat just one, the two heavenly bites make a just-right dessert or after school pick-me-up. 1. Once you’ve gathered your ingredients, hop on over to Food52 for step-by-step directions. Trust me, you’ll be happy you did!